The HMCS Oriole. Facebook photo. 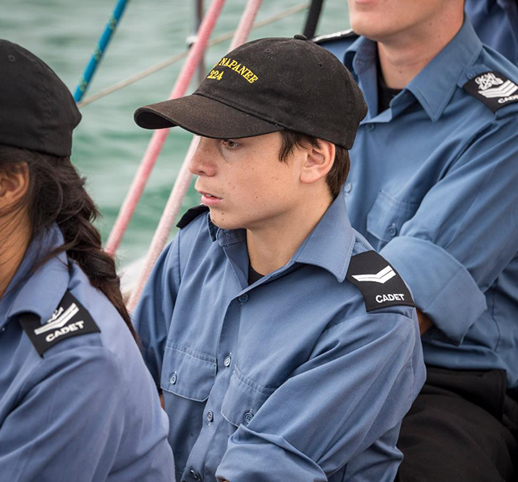 Napanee’s 224 Royal Canadian Sea Cadet Corps member Donovan Near was selected for a trip of a lifetime earlier this month, as he was one of seven Cadets from across the province chosen for a week long sail on the HMCS Oriole. The historic ship departed Kingston on Aug. 27 and arrived in Trios-Riviere, Que. on Sept. 2. Donovan Near while onboard the HMCS Oriole. Facebook photo. 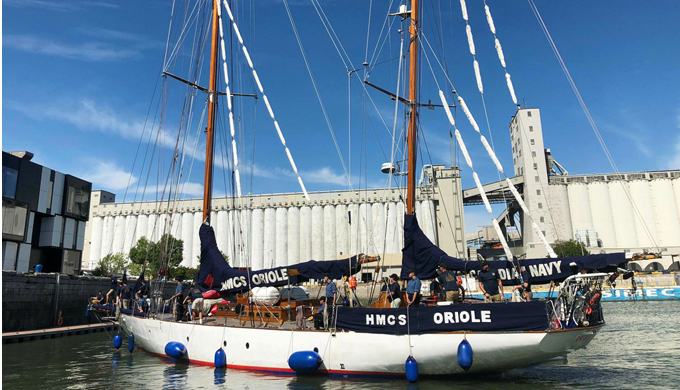 Launched in 1921 and commissioned in 1952, the HMCS Oriole holds the distinction of being the Royal Canadian Navy’s oldest commissioned vessel, as well as the longest serving ship. Now a training vessel, it’s crew is made up of active and reserve members of the Royal Canadian Navy. Near says he learned quite a bit from the active members during the five day sail. As part of his duties, Near was required to undergo fire and safety training, as well as taking a shift to watch over the ship as it sailed. As with all Navy vessels, the Oriole requires members of the crew to be on watch at all hours of the day. “Once we arrived we got to tour the area,” Near said of Trois-Rivieres. From there he was flown home to Napanee. Earning the selection to sail on the ship is considered a prestigious honour. It was Near’s good standing with the local club, of which he’s been a member for three years, that earned him the selection. This isn’t the first time a member of the Napanee club has earned high level recognition. Other opportunities include sailing on patrol vessels, working with the Coast Guard and Royal Canadian Navy. Ashworth says while there’s plenty of opportunities for Cadets to travel across Canada and even the world through the program, there’s still lots of activities they take part in locally as well. “On a more regular basis we offer the ability to go sailing, to mess around on boats, to improve your marksmanship abilities and improve your fitness,” he said. The local Cadets also work closely with Napanee Legion Branch 137, including assisting with their Remembrance Day ceremonies.